Ok, Ted, it's time to shut up, stop lying and either CONFESS LIKE A REAL MAN, or talk about things that matter for a change. ENOUGH OF THE CHILDISH LIES AND BEHAVIOR. YOU REALLY SHOULD BE ASHAMED, BUT YOUR EGO WON'T ALLOW YOU TO SEE HOW BAD YOU LOOK TO THE AMERICAN PEOPLE, BUT FOR A FEW IDIOTS WHO DON'T KNOW YOU ARE OWNED BY THE ESTABLISHMENT. JUST AMAZING! Little boy Ted continues his childish instigator behavior unbecoming of a so called leader. You are an embarassment to the nation and deserve to be sent back from wherever you came from! This tells me volumes about how he ISNT a GOOD dad. If he was a good dad, this child would have acted totally different. How can anyone vote for this guy? He apparently isn't a good dad, possibly cheated on his wife (he hasnt said NO i haven't been unfaithful to my wife), he lies and acts like a child himself, and instigates lies about Trump continually trying to bait him so the media can then use it against Trump, and then says he is a "Christian"? You have to be kidding me! AMERICA THIS GUY IS JUST ANOTHER ESTABLISHMENT HACK, AND IF YOU CAN'T SEE THAT BY NOW AND STILL VOTE FOR HIM, THERE IS NO HOPE FOR AMERICA AND YOU WILL CONTRIBUTE TO YOUR OWN DEMISE AND THAT OF YOUR COUNTRY! YES,YES,YES...............Nail hits the hammer on the head. Remember day's little girl song, well she is not that lil gal and he is not that daddy. He should be reminded this is not a broadway play, he is not Horatio on stage..Just another suk up playing the game. GOP presidential candidate Senator Ted Cruz (R-TX) has vowed to kill Iranâ€™s Supreme Leader, Ayatollah Ali Khamenei and tear up the international nuclear deal with Iran if he is elected president. Cruz made his threat to commit a terrorist act against the spiritual leader of the Islamic Republic of Iran while speaking to Values Voter Summit in Washington, a grouping of far-right wing fundamentalist â€œChristiansâ€� who decided to hold their meeting to compete with the visit to Washington of Pope Francis I. Cruz told his red-meat awaiting audience that if he is president, â€œwe may have to help introduce him [Ayatollah Khameini] to the 72 virgins.â€� The terrorist threat and slur against Islam came hours after Cruz relished in his long-awaited desire to depose Representative John Boehner (R-OH) as speaker of the House of Representatives. When one looks at the Hispanic parentage of politicians like Cruz and Rubio, we discover people who came to the United States as a result of repeated attempts by the Central Intelligence Agency to overthrow the Cuban government of Fidel Castro. Rafael Cruz fled Cuba in 1957, two years before Castro came to power and at a time the CIA was feverishly supporting the Fulgencio Batista dictatorship. Ted Cruzâ€™s Cuban aunt was recruited by the CIAâ€™s anti-Castro forces in Cuba to participate in a counter-revolution against Castro. The Cuban expatriate community could have never achieved the power they now maintain in the Republican Party had it not been for the financial patronage extended to them by two well-known Cuban-American mobsters, Santo Trafficante, Jr., in Tampa and Jose Miguel Battle, Sr., of Union City, New Jersey, both of whom had links to the CIA and the assassination of President John F. Kennedy. Not just Republicans benefited from the Cuban mafiaâ€™s largesse. New Jerseyâ€™s indicted Democratic Senator Robert Menendez largely owes his political fortunes, which started in Union City, to Battleâ€™s crime syndicate. Another Democrat, former Senator Robert Torricelli, who resigned in 2002 amid a Senate ethics probe, was linked to Battleâ€™s North Jersey Cuban mafiosI. Ted Cruz A Cross-Dressing Peeping Tom? Investigative journalist Wayne Madsen gives his take on the election and on the overwhelming evidence that points to the murder of DC Madam. Congratulations to Sen. Ted Cruz (R-TX) for winning his fourth primary! Usually Donald Trump wins the primaries â€” where you go and vote, like in a real election. Cruz wins the caucuses â€” run by the state parties, favored by political operators and cheaters. Until now, the only primaries Cruz has won are in Texas (his home state), Oklahoma (basically the same state) and Idaho (where Trump never campaigned). (2) the national media universally denounce Cruzâ€™s Democratic opponent the same way the Wisconsin media denounced Trump. In that case, Cruz should do fine. The Cruz-bots donâ€™t care. They donâ€™t care that theyâ€™re being used as a catâ€™s-paw by the Never Trump crowd, and that a brokered Republican convention is more likely to end with Bernie as the nominee than Cruz. I WAS WATCHING TV YESTERDAY WITH ONE OF MY SONS. WE WERE WATCHING POLICE ACADEMY 1 BECAUSE ANYTHING IS BETTER THAN FOX OR CNN. THE MOVIE WAS MADE IN 1984. THERE WAS A CHARACTER IN THE MOVIE NAMED GEORGE MARTINE. HE WORE A DRESS TO GET INTO THE POLCE ACADEMY WOMENS DORMS TO WATCH THEM UNDRESS TO TAKE SHOWERS. GEORGE MARTINE WAS ACTUALLY A WHITE GUY. THIS IS THE KICKER---GEORGE MARTINE PRETENDED TO BE A CUBAN. MY SON AND I BURST OUT LAUGHING. WE CONTEND THAT LYIN' TED GOT HIS PERVERTED IDEA FROM POLICE ACADEMY 1. LYING TED IS MANIPULATING DELEGATES TO SWITCH FROM TRUMP TO HIM BEHIND THE SCENES! THIS IS GOING ON IN STATE AFTER STATE THAT TRUMP WON! THERE IS NOTHING MORE DISGUSTING THAN A PERSON WHO WOULD CHEAT TO GET INTO OFFICE! TED, YOU ARE DISGUSTING! TED, THERE IS NO WAY YOU ARE A 'CHRISTIAN' RESORTING TO THIS TYPE OF CHEATING AND UNDERHANDED BEHAVIOR! ANYONE VOTING FOR CRUZ NEEDS TO RETHINK THEIR POSITION. DO YOU REALLY WANT A PRESIDENT WHO RESORTS TO CHEATING TO GET INTO OFFICE? HOW HONEST DO YOU THINK HE WILL BE ONCE HE GETS INTO OFFICE? THIS GUY IS RUN BY THE ESTABLISHMENT, AND THAT MAKES HIM UNFIT FOR OFFICE. PERIOD! When Ted is not sleeping, he is cheating----either on Heidi or stealing and cheating to get delegates. It's just amazing anyone is listening to this douche bag. COLORADO SPRINGS â€” Senator Ted Cruz captured a majority of Coloradoâ€™s delegates to the Republican National Convention on Friday, outmaneuvering Donald J. Trump, whose lack of an organized national campaign once again allowed Mr. Cruz to gain at his expense. As the fight for the Republican campaign moves into a period in which a handful of delegates could decide the nomination, Mr. Trumpâ€™s losses here were a troubling sign. Colorado awards its delegates differently from the way most states do. Instead of holding a statewide primary â€” the kind of contest Mr. Trump is used to commanding through his dominating and ubiquitous media presence â€” it is using a series of caucuses. Before this week, registered voters selected local delegates, who tend to be more conservative party loyalists, ones Mr. Trump has had trouble winning over. Those delegates, in turn, have been voting this week on delegates to the national convention, most of whom are pledging their support to one candidate or another. Alan Cobb, an adviser to the Trump campaign who was in Colorado Springs on Friday to manage the delegate efforts, set expectations low. A pickup of one delegate would be worthwhile, he said, given how little effort the campaign had put into the state. â€œWe made the conscious decision back in October that Colorado, because of the structure, just didnâ€™t make sense for us to invest a lot of time and resources in,â€� he said. April 9, 2016, 10:17 PM |COLORADO SPRINGS, Colo.
Ted Cruz completed his sweep of Colorado's 34 delegates on Saturday while rival Donald Trump angled for favor a half-continent away in New York's all-important April 19 primary. On the Democratic side, Bernie Sanders picked up another win in Wyoming â€” but it did nothing to help him gain ground in the delegate chase. Cruz netted 13 more delegates at Colorado's state GOP convention. The Texas Senator already had locked up the support of 21 Colorado delegates and visited the state to try to pad his numbers there. Colorado will not vote for a Republican candidate for president at its 2016 caucus after party leaders approved a little-noticed shift that may diminish the state's clout in the most open nomination contest in the modern era. The GOP executive committee has voted to cancel the traditional presidential preference poll after the national party changed its rules to require a state's delegates to support the candidate that wins the caucus vote. The move makes Colorado the only state so far to forfeit a role in the early nomination process, according to political experts, but other caucus states are still considering how to adapt to the new rule. "It takes Colorado completely off the map" in the primary season, said Ryan Call, a former state GOP chairman. Note: Americans in these States and Territories get no vote in the Primary! And these people say nothing, like this is normal? Amazing! Sponsored by the Council on Foreign Relations in association with the Canadian Council of Chief Executives and the Consejo Mexicano de Asuntos Internacionales. North America is vulnerable on several fronts: the region faces terrorist and criminal security threats, increased economic competition from abroad, and uneven economic development at home. In response to these challenges, a trinational, Independent Task Force on the Future of North America has developed a roadmap to promote North American security and advance the well-being of citizens of all three countries. When the leaders of Canada, Mexico, and the United States met in Texas recently they underscored the deep ties and shared principles of the three countries. The Council-sponsored Task Force applauds the announced â€œSecurity and Prosperity Partnership of North America,â€� but proposes a more ambitious vision of a new community by 2010 and specific recommendations on how to achieve it. HEIDI S. CRUZ is an energy investment banker with Merrill Lynch in Houston, Texas. She served in the Bush White House under Dr. Condoleezza Rice as the Economic Director for the Western Hemisphere at the National Security Council, as the Director of the Latin America Office at the U.S. Treasury Department, and as Special Assistant to Ambassador Robert B. Zoellick, U.S. Trade Representative. Prior to government service, Ms. Cruz was an investment banker with J.P. Morgan in New York City. Who is Heidi Cruz. She is one interesting lawyer! Did you know that she sat on a Council on Foreign Relations task force for the North American Free Trade Agreement (NAFTA)? Yes right up until 2011 when Ted announced he was running for the Senate! WHY do you people think our Government wonâ€™t secure our border? Do you think it is Incompetence? Ignorance? Is it to destroy the nation? Well a lot can be said about all of those at this point but lets just say the SPP (Security and Prosperity Partnership) CFR and that sweet little task force has other plans! Open up the borders and go deeper south into Mexico and beyond!! Awake yet? Yes they are actively working to create a new nation of North America, called the North American Union, (NAU) just like the EU, with a controlling politburo, where members are NOT elected by the people. â€œSPECIALâ€� Assistant to Ambassador Robert B. Zoellick? 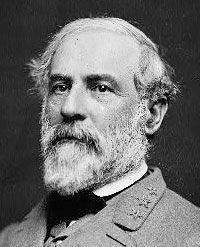 Do you know WHO he is??? Mitt Romney put Zoellick on his team and caught great criticism over it but we didnâ€™t hear about that through Fox or any one else now did we! Google it!! Just type in Romney and Robert B Zoellick. Its there!! So WHY would Heidi be a â€œspecial assistantâ€� to him of ALL people? Is this a lawyer doing the work of a lawyer? Hardly, there is an agenda here. â€œSpecial Assistant to Robert Zoellickâ€� what did that mean? â€œRobert Bruce Zoellick is a former U.S. trade representative, deputy secretary of state, president of the World Bank, and vice chairman of Goldman Sachs (2006-2007). As U.S. trade representative, Zoellick played a key role in the passage of the Central American Free Trade Agreement, the U.S.-Vietnam Free Trade Agreement, the Jordan Free Trade Agreement, and the restoration of fast track negotiating authority via the Trade Act of 2002. He was also a top U.S. negotiator during the General Agreement on Tariffs and Trade (GATT) negotiations that lead to the formation of the World Trade Organization (WTO).â€�â€�U.S. Trade Representative Prior, Zoellick was appointed United States Trade Representative and assumed office on February 7, 2001. As a member Bushâ€™s Cabinet, he served with the rank of Ambassador. Zoellick is a member of the Council on Foreign Relations, as well as the Trilateral Commission, and was one of the signers of the January 26, 1998, Project for the New American Century (PNAC) letter to President William Jefferson Clinton. Zoellick completed negotiations to bring China and Taiwan into the World Trade Organization (WTO), developed a strategy to launch new global trade negotiations at the WTO meeting at Doha, shepherded Congressional action on the Jordan Free Trade Agreement and the Vietnam Trade Agreement, and worked with Congress to pass the Trade Act of 2002, which included new Trade Promotion Authority. In an October 2007 speech to the National Press Club, Zoellick stated that â€œwe are working with our Board to significantly step up our assistance to the international efforts to address climate change. At our upcoming Annual Meetings and at the UN Climate Change Conference in Bali this December, I hope to outline a portfolio of ways the World Bank Group can help integrate the needs of development and low carbon growth. We need to focus particularly on the interests of developing countries, so that we can meet the challenge of climate change without slowing the growth that will help overcome poverty. Cruz, who graduated Phi Beta Kappa with a B.A. in economics and international relations from CMC in 1994, is a managing director in the Private Wealth Management Group at Goldman Sachs, Texas. She and her two partners work with clients to implement high net worth portfolios across a range of investments and asset classes, including complex derivatives products, private equity, hedge funds, single stock risk management, U.S. and international equities, and fixed income. Ms. Cruz began her career as an investment banker with JPMorgan in New York, focusing on international structured finance and subsequently on Latin America mergers and acquisitions. In 2000, she served on the Bush 2000 Campaign in Austin as one of President George W. Bush's three economic advisors. She also served in the Administration as the economic director for the Western Hemisphere at the National Security Council at the White House, advising the President and then-National Security Advisor Condoleezza Rice. She also is a former director at the U.S. Treasury Department and was special policy assistant to Ambassador Robert B. Zoellick, then Chief U.S. international trade negotiator. In addition to her private-sector work, Heidi served on the Board of Directors of Living Water International, dedicated to providing clean water and sanitation equipment in the developing world. Her publications include the book chapter, "Expanding Opportunity Through Free Trade," in Thank You, President Bush; a chapter in Exchange Rate Policies for Emerging Market Economies; and a Harvard Case Study: "American International Group." She also is a Term Member of the Council on Foreign Relations. After graduating from CMC, Ms. Cruz received an M.B.A. from Harvard Business School, and a master's of European Business from Universite Libre de Bruxelles in Brussels, Belgium. ... the beans have been spilt. ONE MORE THING---BECAUSE TED IS FOR THE NAU, IMO TED WOULD NOT BUILD THE WALL. 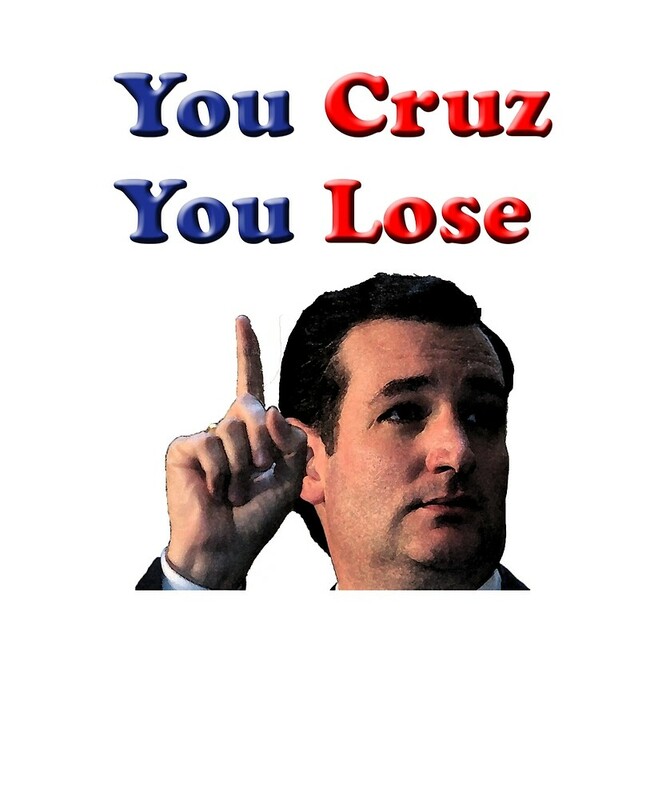 IF YOU VOTE FOR TED CRUZ, YOU ARE AN ABSOLUTE FOOL AND HAVEN'T DONE YOUR HOMEWORK! UNINFORMED AMERICANS (AND THOSE WHO CAN'T THINK FOR THEMSELVES) ARE AIDING AND ABETTING THE DEMISE OF THEIR OWN COUNTRY! HOW DISGUSTING IS THAT? AMERICANS, YOU HAVE ONE MORE CHANCE TO GET INFORMED AND COME TO THE AID OF YOUR COUNTRY BEFORE THE GENERAL ELECTION. IF YOU MAKE THE WRONG VOTE THIS TIME, YOUR COUNTRY IS DONE AND YOU WILL HAVE CONTRIBUTED TO IT! Eagle Forum Founder - 91 Year Old Phyllis Schlafly, Cruz thug supporters try a coupe against her! WHY? BECAUSE SHE SUPPORTS DONALD TRUMP, A REAL AMERICAN MAN WHO KNOWS AMERICA IS BEING TAKEN OVER AND WILL NOT GIVE INTO THE GLOBALISTS WHO ARE BEHIND THE TAKEOVER. THIS IS THE SAME REASON INFORMED AMERICANS ARE SUPPORTING TRUMP! 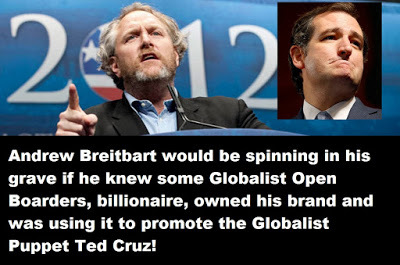 THEY KNOW HE SUPPORTS THEM, AND AGAINST GLOBALISM DESTRUCTION OF AMERICA, JUST LIKE HIM! SHE ALSO KNOWS THE REST IN THE RACE (BOTH PARTIES) ARE ALSO ESTABLISHMENT HACKS BETRAYING THE AMERICAN PEOPLE ON BEHALF OF THEIR GLOBALIST MASTERS! TED CRUZ IS THE WORST OF THE LOT! HE IS NOTHING BUT ANOTHER BUSH CONTROLLED AND FUNDED ROCKEFELLER REPUBLICAN WHO IS LYING TO AND BETRAYING THE AMERICAN PEOPLE WITH A SMILE! CRUZ'S SICK FOLLOWERS, WHO WOULD DARE TRY TO RUN AN OLD LADY OUT OF THE ORGANIZATION SHE FOUNDED, ARE EVEN MORE DESPICABLE. THEY DON'T WANT HER INFLUENCING REPUBLICANS INTO VOTING FOR TRUMP, SO TRYING TO GET RID OF HER. YOU PEOPLE ARE SCUM! How shameful. Beating up on a 91 year old woman. In fact, one of the greatest women this country has ever had living in it. BUT WE KNOW LYING TED WILL DO ANYTHING TO LIVE IN THE WHITE HOUSE. Rafael Cruz, A Pro-Batista, CIA Connected Cuban In Exile? Really Ted? 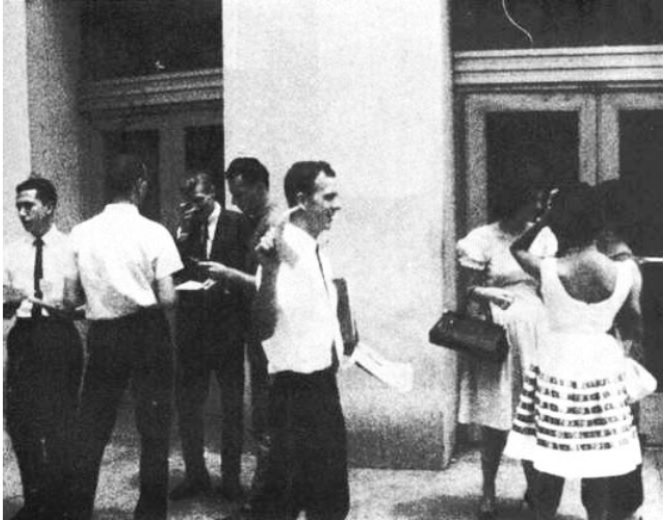 Oswald with Cruz Passing Out the Famous â€œHands Off Cubaâ€� Pamphlets. Oswald Was Arrested. Rafael Cruz to the far left handing out pamphlets. In an article written by David Zephyr, he has exposed the connection between Rafael Cruz the father of candidate Ted Cruz and the Bush oil connection. Interesting facts have arisen connecting him to Lee Harvey Oswald. Interesting that Mr. Zephr has discovered the CIA connection that many of us have suspected of Rafael Cruz for a long time. â€œI have written several DUâ€™ers by private email over the last months about my research into Ted Cruzâ€™s fatherâ€™s inconsistent personal histories he has provided over the years. Rafael Cruzâ€™s stories didnâ€™t add up. Then there was the Dallas / New Orleans connectionâ€¦and then Rafaelâ€™s fleeing to Canada and disappearing for years before returning to the US where his son wound up employed by the Bush Crime Family. When I found the real timetable of Rafaelâ€™s actual where-about between New Orleans and Dallas though the rubble of his many lies about his past, I began to write emails to many knowledgeable about the assassination. As I a am old and almost blind, it is hard for me to post here at the DU anymore, but this is something Iâ€™ve been quietly working on since the Summer of 2015.
excerpt below...Lying Ted and his minions trying to take over Eagle forum. Last week the rogue Cruz supporters attempted a coup at Eagle Forum. They held a non-sanctioned meeting and reportedly blocked Phyllis Schlafly from their conference call. Today Phyllis released a video to the Eagle Forum. Sheâ€™s still in charge.